What Does Your Industrial HVAC Unit Require? When replacing your existing compressor, like for like models are always the best option, but if it isn't available now you first need to determine what is required of your new compressor. For instance, your HVAC unit is built for compressors that provide a minimum volumetric flow, denoted as Cubic Feet per Minute or CFM. There are a variety of charts and measurement tools available online to help you determine what CFM range you need to fulfill the needs of your system. The total CFM required will depend on both the size of your HVAC system and the size of the ducting in your building. An HVAC installer will be able to tell you exactly what to expect in this range. What Kind of Power is Available? Another thing you need to think about is the type of power that is already installed. In most cases, you should have plenty of power already available, as long as you are replacing your old industrial compressor with a similarly sized one. However, if you are increasing the size of your compressor, you may find that you need a new power source to handle the additional load. In other cases, you may be able to switch plugs to make your new compressor compatible with your existing power source. You may need an electrician to guide you through this step of the selection process. Ultimately, the type of industrial compressor you choose may be limited by the space you have available. Some compressor types simply take up more space than others, such as reciprocating models, while scroll type compressors are generally smaller and meant to fit in tighter spaces. Size may also be affected by whether or not there is an oil tank or other elements that are on the outside of the main compressor unit. If space is a concern, it is always best to consult with an expert who can guide you toward an industrial compressor that will fit your unique situation. What Brand Do You Want? 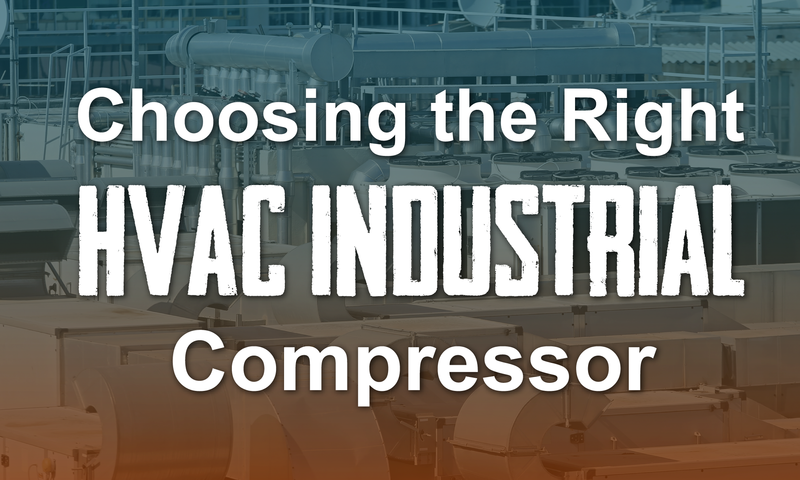 Depending on your prior experience with industrial HVAC compressors, you may have a preference for one brand or another. If you have a particular brand in mind but your organization's budget is tight and tha brand's cost doesn't fit within the budget, then, you should realize that you don't have to buy new. Contact a manufacture that remanufactures that brand to see if this option will fit within your budget. If it doesn't, then ask the remanufacture what is comparable to the brand of your choice. This is important to keep in mind when you are comparing costs, and deciding which brand is best for you. Many companies offer warranties on their remanufactured models so you can save money up front, and still have confidence that they will stand behind the product in the long run. 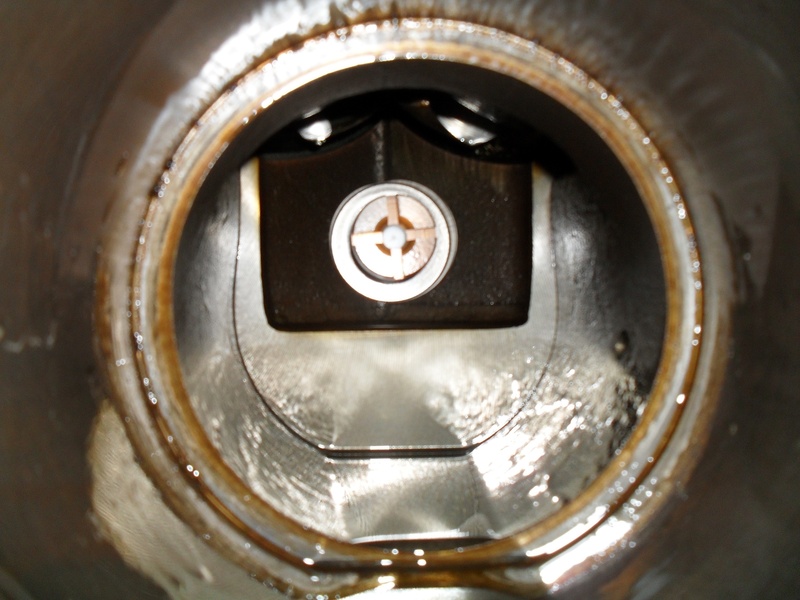 Always be sure to ask about warranty coverage, which may affect the overall value of the compressor you are buying. You should also talk to several compressor experts to gain an understanding of which brands are most trusted for your needs. For more information about industrial HVAC compressors, contact Compressors Unlimited today. We have a full range of industrial HVAC products available and ready for delivery. No matter how big or small your building is, our industrial compressors are built to last, with some of the biggest brand names on the planet.